Collection, production, distribution of garlic, asparagus and onion since 1991. Neva Ajos, ​​a company dedicated to the production, handling and international marketing of garlic. We offer our clients excellent quality, a reasonable and competitive price, on-time delivery and a continuous international supply. We have the GLOBALGAP, IFS, FOOD, GRASP certificates, which guarantee compliance with the current regulations on hygiene, food safety and waste management. In Neva Ajos we have always bet on offering the best quality in our products, expanding the variety and formats of presentation, as well as innovating to make our products an international benchmark. We currently carry out a wide distribution of our garlic, which is in great demand both in the national and international markets, to which we export more than 80% of our production. Garlic grown mainly for its greater production and large size. It has very large and flattened bulbs, white, the Spring White variety and with thicker striations, purple color the Spring Violet variety. It has few cloves of light brown color, the white variety and of brown color something darker wanting to approach purple. It is characterized by its larger size and production. Available qualities: SUPERFLOR 50/55 EXTRA 55/60 YUMBO 60/65 ELEFANT 65 onwards. From the very begining, we control our production to obtain the best results. The customer is the one who chooses the type of packaging and finish that they want in theri product. We have our own logistics center, avoiding intermediaries, and consequently supervising the perfect state of our products. Our philosophy is that the customer always decides how he wants the product to be packaged. We have a wide range of types and packaging finishes. NEVAAJOS is a leading company in the agricultural sector, 30 years of experience and dedication endorse us as a national and international reference. The key to our permanence in the market lies in an elaborate production process covered by the best quality seeds and the best farmland in the Vega de Granada and Castilla-La Mancha. The founder of the Group D. Nemesio Amigo Muñoz has developed since very young all kinds of jobs related to the field and in a very special way with the production of Garlic and Asparagus has permanently innovated and sought the best techniques to offer its customers the best products on the market, we work with the latest techniques developed in the garlic sector. We currently have spaces of 30,000 square meters for the treatment of our production with all the technical logistics infrastructure for the storage, processing and conservation of our products since they are collected from the field until their shipment to destination. We have cold rooms for the conservation of our products and allows us to have garlic for sale throughout the year. At present, NEVAAJOS is a leading company in the sector, we market our garlic to many countries in Europe, USA, Asia and South Africa, we also have national distribution. Our priority is to seek the maximum satisfaction of our client, for this reason we have an excellent relationship with our customers some of whom have been counting on our products for decades. Our brand has the Certificates that guarantee compliance with the current regulations on Hygiene, food safety and waste management. 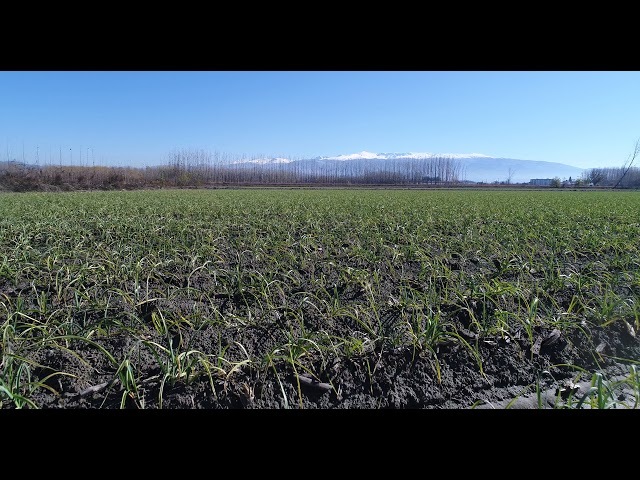 The Green Asparagus campaign begins in Granada during the months of March, April and May, the province with the largest area devoted to the cultivation of this vegetable. In Nevaajos we are dedicated during the season of Espárrago to the commercialization of the product, our company is a reference in the province of Granada. Green asparagus is a natural blood cleanser. Green asparagus helps to lose weight, provides few calories with a high fiber and protein content.